When Catholics refer to ‘veiling’, they simply mean a woman’s act of covering her head during Mass. Often it refers to using a mantilla or chapel veil, but it can also mean wearing a hat. The current 1983 Code of Canon law, which contains the law of the Catholic Church, does not mention veiling, unlike it’s predecessor, the 1917 Canon. With a misplaced, new sense of freedom, many women threw away their mantillas. Time is funny. What is out of vogue, becomes fashionable again. And so, the mantilla is back in style. However, some women are still resistent and I find that there are 6 main excuses women use not to veil. It is true that before Jackie Kennedy, American Catholic women were used to covering their heads with hats. 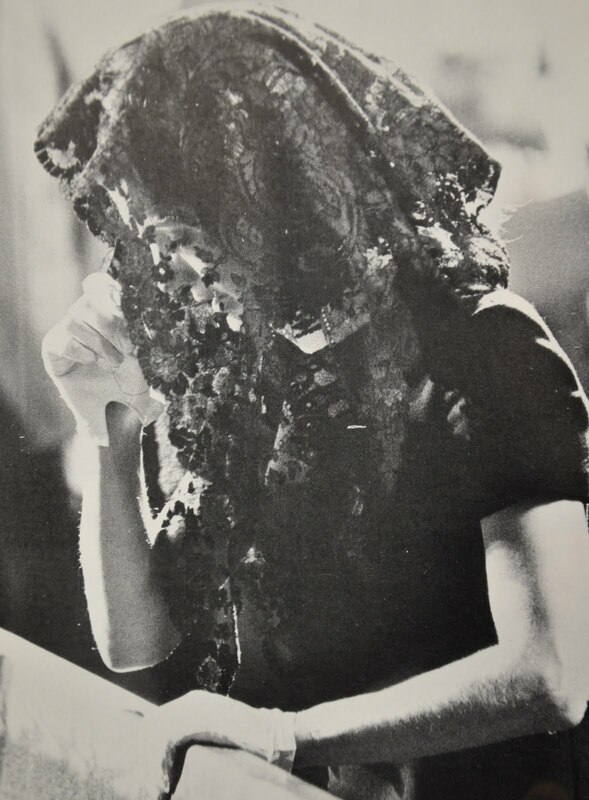 Jackie brought back the mantilla and American Women fell in love with them. So although these mantillas were very popular in Spain, American Catholic women adopted it as part of their culture as well. Either way, you don’t have to wear a mantilla. You can wear a hat. Let me point out that in some circles, wearing a mantilla is considered to be more holy or more traditional than a hat. Don’t let anyone deceive you. As long as your head is covered, you’re good. Not everyone looks like a mantilla model. I’m sure everyone has seen the pictures of the pretty 20-something year-olds on the trad net. It is as if everyone who wears a mantillas is in their 20’s. Unfortunately, or fortunately (depending on how you look at it), everyone does not look like a mantilla model. Our focus, during Mass, should be on the holy sacrifice of the Mass itself, not on our looks. 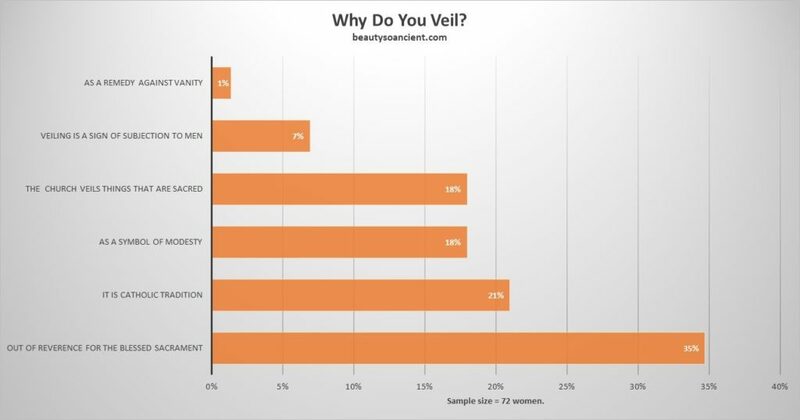 The same reason that you don’t not want to veil is exactly the reason why you should. It’s not about you! Having said that, I’m going to say that all women look beautiful in their mantillas, but it’s a spiritual beauty – the best kind. Here we have reverse modesty. “ If I wear something modest, I’m not actually modest am I? I wonder sometimes if anyone really means this. It is true that sometimes dressing over the top actually brings more attention to yourself. It’s like you’re saying, “Look at me… I’m so modest”! A perfect example of this is those who dress like they’re on a “Little House On the Prairie” set. The dress is so outlandish, it actually brings attention to the women. However, wearing a mantilla or hat is a tradition of the Catholic Church. It is no longer required (more on that in the next section) but it is not forbidden either. “The wearing of a chapel veil for women is not required when women assist at the Holy Mass according to the Ordinary Form of the Roman Rite. 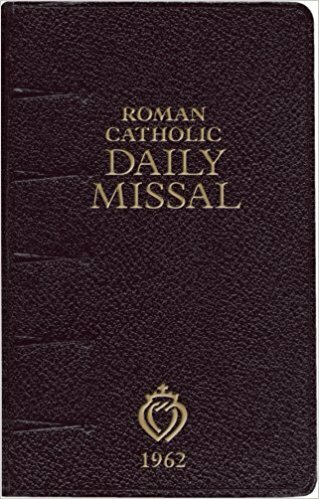 It is, however, the expectation that women who assist at the Mass according to the Extraordinary Form cover their heads, as was the practice at the time that the 1962 Missale Romanum was in force. It is not, however, a sin to participate in the Holy Mass according to the Extraordinary Form without a veil.” Source. 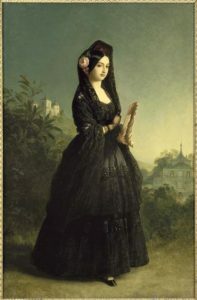 Wear a mantilla anywhere you want, but if you attend a traditional Latin Mass regularly (I’m not speaking to visitors), please wear a mantilla. It is expected! I am often shocked at the number of uncovered heads I find at even traditional parishes! 5) St Paul was a Misogynist. Why Should I listen to him? Some Catholic women have a problem with St Paul’s views on submissiveness and the role of the woman in regard to her husband. 1 Corinthian 11: 3-5 particularly is troublesome to those who consider St Paul to be a misogynist. “But I would have you know, that the head of every man is Christ; and the head of the woman is the man; and the head of Christ is God. Every man praying or prophesying with his head covered, disgraceth his head. But every woman praying or prophesying with her head not covered, disgraceth her head: for it is all one as if she were shaven. Source. I just want to point out that covering one’s head does not demean a woman. It elevates her. She is precious and she should be veiled. St Paul is one of the most important figures in the history of the Church. He should not be dismissed so easily. It is true that the head of a wife is her husband. Scripture says so. In this modern time there has been a move from teaching wifely submission to teaching that husband and wife are to submit to one another. Although it is true that husband and wife are to submit to one another and, in fact, Catholic brethren should submit to one another, there is a specific admonition that wives submit to their husbands. Catholic women all over the world continue to cover their heads during Mass, especially Eastern Catholics. Are we more enlightened than they are? This last excuse is somewhat legitimate. I noticed there are plenty of articles on veiling, but not enough actually point the readers to where to get these veils. You can get them at your parish or online. Online stores offer more diverse options. Fleur de Lis (use coupon code “ancientbeauty” for 5% off). DiClara (the mantilla in the picture to the right is from DiClara. I hope I’ve done a good job of debunking the 6 excuses American woman use to not veil. Let me know if I haven’t or if you agree or disagree. 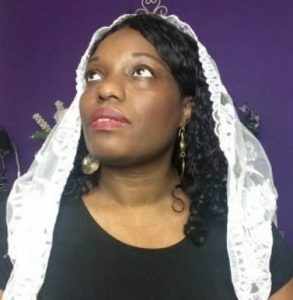 Now, why not try veiling? A small sample of 72 women in a traditional Catholic Facebook group were asked why they veil. Please note that if you buy through any of this site’s links, beautysoancient may receive a commission. Thanks for your support!? I always enjoy your facebook events, but I can only “like” or share. Since my youngest started attending Franciscan University, she has been veiling (had asked for her first veil that fall as a Christmas present). I have been reading literature and have been trying to have an open mind. Since I am 61, I was part of the generation who had to have her head covered. In fact, if I was at school and going to Mass directly afterwards, the teacher would give me a tissue and bobbypin. I have negative memories of always having my head covered. I do respect and think veiling can be beautiful. I belong to two churches. The one that is 45 minutes away I am involved in youth ministry. In my local church, some teens are actually returning to Mass and I see them in the high school and have some I have already been considered somewhat of an “oddball” at church because I teach NFP, kneel when we are supposed to (as opposed to everyone else who stays standing), am pro-life person in our parish and NEVER dress immodestly at Mass. These things already cause me to stand out, so I am just not ready to stick out even more. I DO admire those who do veil (although no one does at either of my parishes). Keep on standing out, my sister. You never know how many women you are inspiring. So can men wear hats to church? What is the difference, to veil or not to veil should be a choice? What is modest in one culture is not in another. Veils by Lily is another source for beautiful veils for Mass. I wore as little girl looked like a doylie. I remember my grey aunts wearing all the time for Mass and a different one for Blessed Sacrament. Now I wear mine for Blessed Sacrament. I don’t care what anyone says, I’m here to be with my Lord Jesus Christ! I wear in reverence to Him. My God. 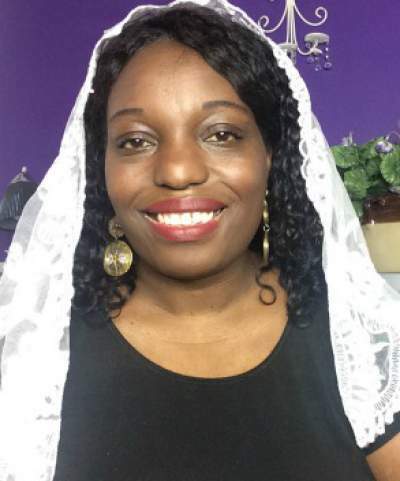 I veil because Jesus asked me to from the Tabernacle plus after thinking what He asked me to do I thought about His Mother Mary always has wears a Mantle and dresses modestly.